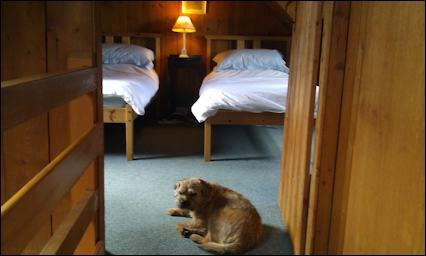 Enjoy a proper Highland experience in Scotland in comfort! 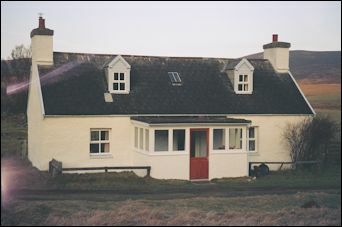 Strathnoon is a fully equipped cottage (pictured above) in a wonderful isolated spot. It is available for weekly or fortnightly holiday lets throughout the year (closed in mid-winter). 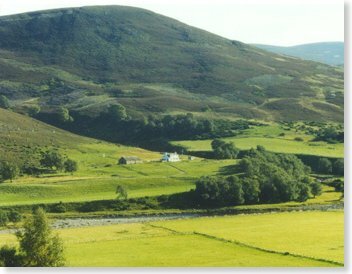 and lies in a Strath (valley) called Strathdearn alongside the River Findhorn. 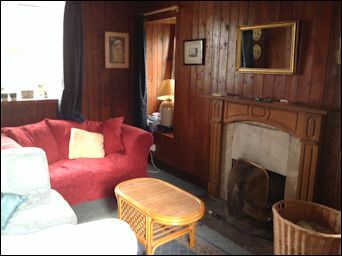 Strathnoon retains many original features, including lovely period Victorian tongue and groove pine panelling throughout the cottage which keeps it cosy in winter. 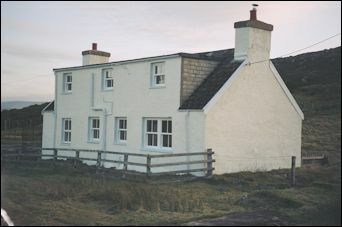 The cottage is suitable for children with a stairgate at the top of the stairs and a TV, as well as a video place with a considerable number of videos. 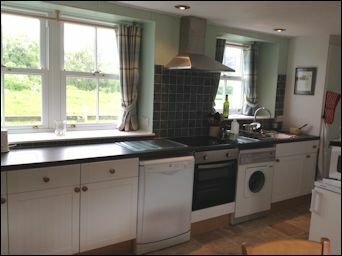 a modern, fully equipped kitchen with electric cooker, dishwasher, washing machine, etc. 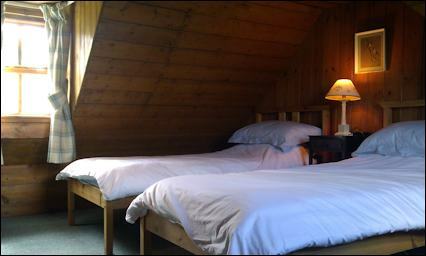 Upstairs is a full size pine cot which can be used in either bedroom. Guests with babies are advised to bring their own linen for the cot - which we are sure you would prefer in any event for your own baby! There is also a large porch (useful for boots and outdoor gear). New double glazed windows now fitted to all north-west facing windows. All towels, bedding and sheets are provided. You only need to bring your own food and drink. Email us for details and make your booking. 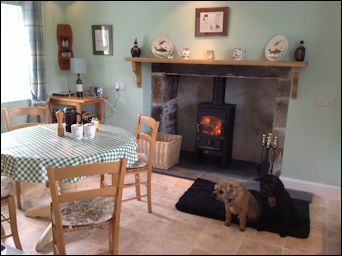 The cottage is booked from Sunday to Sunday. and must be vacated by 10.00am on day of departure. Any 2 consecutive weeks booking at Strathnoon attracts a 12.50% discount. i.e. 3 rods for 6 days similarly attracts a 12.50% discount overall. 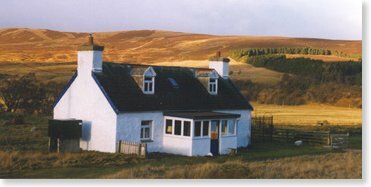 Many come to visit Strathdearn to see and experience the variety of wildlife in this tranquil place. 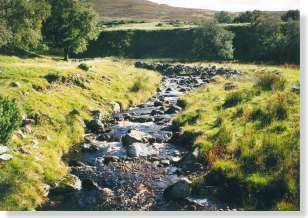 You will spot buzzards and golden eagles, and even the occasional osprey has been seen taking fish from the local burn (stream). Red kite have also been seen here recently. 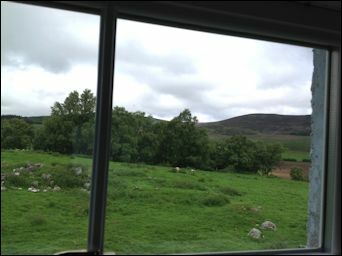 The moor above the house is where red deer and grouse can be seen. Scottish wild salmon and sea trout fishing can be arranged for you in season (from April to the end of September). Three rods per day can fish the river for salmon at a cost of £25 per rod per day (£40 per rod in July, £50 per rod in May & August, and £80 per rod in September). A ghillie is available for hire with a 4x4 for £80 per day. Visit our fishing web page for details of the Old Clune Beat. Trout fishing is free for those staying at the cottage subject to availability (only 3 rods per day may fish and sometimes these are taken by salmon fishers who have formally booked salmon fishing on the river at the time). We can also organise rough shooting in season - just ask us for details and we will be happy to arrange something to suit your interests. 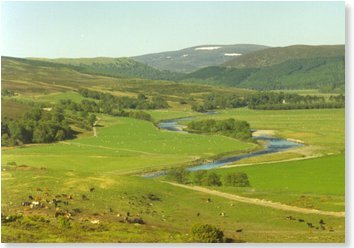 Strathnoon is positioned in Strathdearn on the River Findhorn, between Inverness (22 miles) and Aviemore (14 miles). Strathdearn (valley) The nearest village is Tomatin (6 miles away) which has a small convenience store staffed by extremely courteous and friendly people. 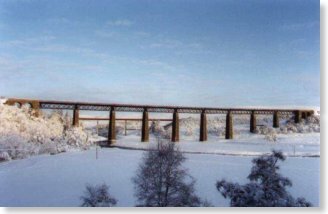 Shopping can also be obtained at Carrbridge (10 miles) and from supermarkets in Inverness. Tomatin is also home to one of the greatest and largest malt whisky distilleries in the whole of Scotland. There is a visitor centre and 10-year malts to try. Tomatin comes from the Gaelic meaning 'the hill of the Juniper bushes'. Please note there is no WiFi at the cottage, but most mobile networks work at Strathnoon. This area of the Highlands can be easily reached by car, train or plane. Overnight sleeper trains operate from London Euston Station, and there are regular daytime trains running between Edinburgh and Aviemore / Inverness every day. There are also daily flights to/from Inverness Airport which is within easy reach of Strathnoon. Car rental is available locally in Inverness. Take the A9 from Perth to Inverness. Approximately 3 miles north of the turn-off to Carrbridge, a dual-carriageway begins. Almost immediately take the left turn signposted to Raigbeg and Balvraid (if you go over the huge viaduct over the River Findhorn you have gone too far!). Approximately 1 mile ahead take the sharp left turn signposted 'Clune 2 miles'. Continue along this single track road, past Old Clune Lodge by a large green shed, and then after another 2 miles (and 1 cattle grid and 2 gates) you will come to Strathnoon on your left near an old stone barn. Strathnoon is located close to the Cairngorm mountain range which is a popular ski resort in winter and widely frequented by hillwalkers and climbers throughout the year. From the 4000-ft summit of Cairn Gorm there are spectacular views all the way to Inverness on a clear day. Taking the chair lift is the easy option if you don't want to hike your way to the top! 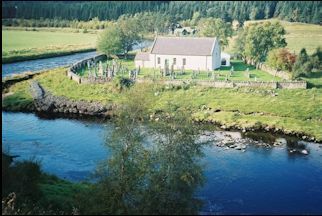 One mile upstream from the cottage lies Dalarossie Church (pictured left), built in 1790 on the site of an early Christian mission dedicated to St. Fergus (Dalarossie comes from the Gaelic Dail Fhearguis meaning 'Dale of Fergus'). The stone font inside the church is thought to date from this original place of worship. By the church, there is a small sandy beach and a pool where you are welcome to go swimming on a hot summer's day. A short drive northwards from Strathnoon takes you to the bustling Highland Capital, Inverness, where many events take place throughout the year including music festivals, piping, Highland Games, etc. 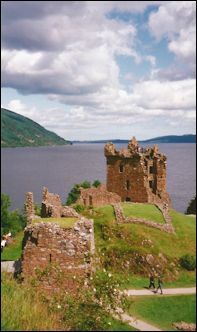 Nearby Loch Ness is a popular tourist attraction centred on daily boat trips and the ruins of Urquhart Castle (pictured left). If you want more than Nessie hunting, then either take the road along the eastern shoreline which is much less travelled or head into the beautiful Glen Affric to the west of Drumnadrochit. To the east of Aviemore, you can tour the numerous local distilleries by following the Speyside Whisky Trail. Castle lovers are also spoilt for choice - legendary Cawdor Castle, fairytale Brodie Castle and splendid Ballindalloch are just a few of those you can visit easily from the cottage. Another interesting day trip from Strathnoon is to cut across country near Newtonmore to enjoy Loch Laggan and perhaps continue on to Fort William and Ben Nevis (Scotland's highest mountain). Many visitors enjoy taking a cruise to see the famous Moray Firth Dolphins. Boat trips are available from Inverness, the Black Isle and Findhorn. 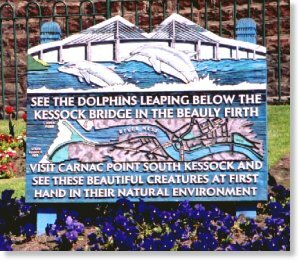 Dolphins can also often be spotted from land - including spots such as Chanonry Point on the Black Isle and Spey Bay. The Dolphin Space Programme (which provides a code of conduct for marine wildlife watching on the Moray Firth) has a list of all the dolphin trips on offer from various places along the Moray coast. giving not less than 8 weeks notice. Get a 15 Day Forecast For Tomatin. I have recently stayed there and it is well placed for the South Coast sights and beaches etc.